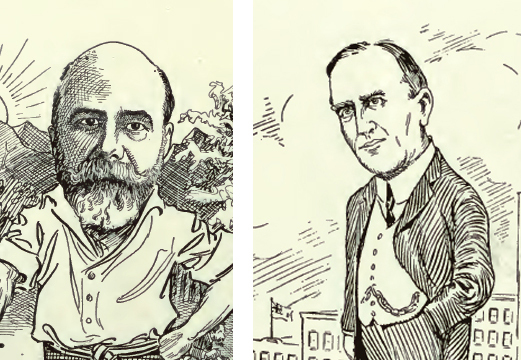 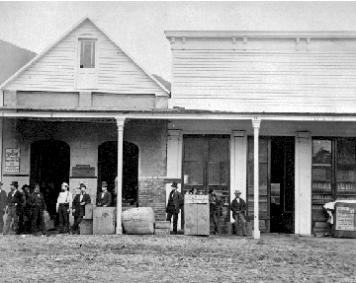 John Parr and Thomas Fee were architects – in terms of the number of buildings erected at the turn of the 20th Century they were the architects in town. 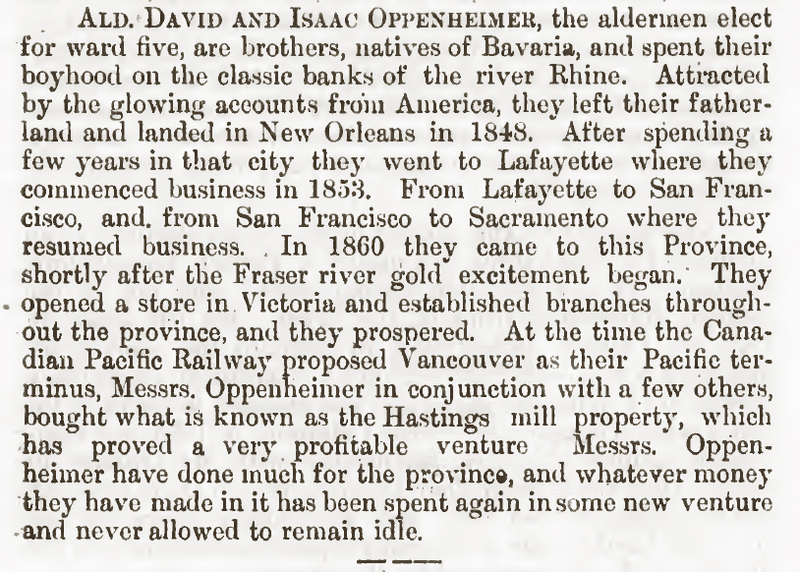 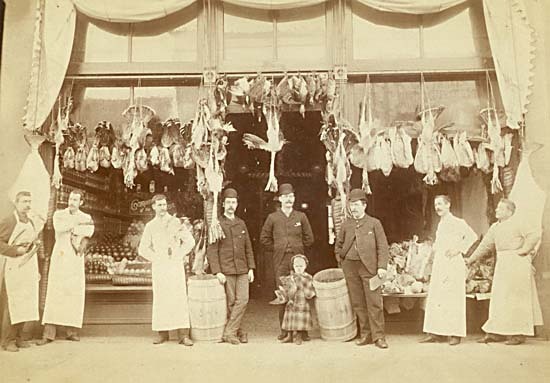 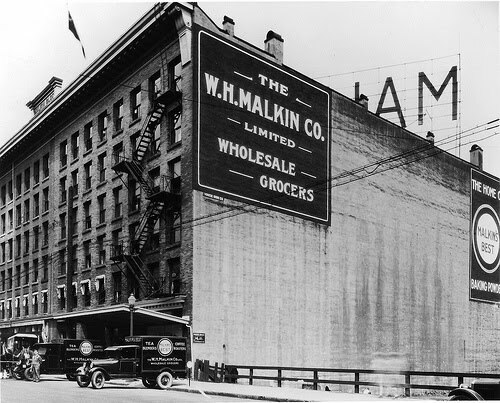 They were responsible for designing over a hundred buildings, getting commissions in both the more established parts of town, (with many buildings on East Hastings Street) and on the newly emerging Granville Street. 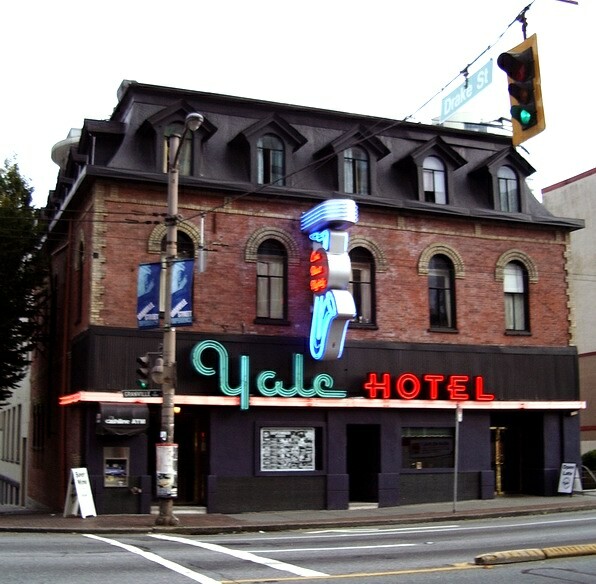 They designed the Hotel Europe, the Dunsmuir Hotel and the Vancouver Block among many other buildings. 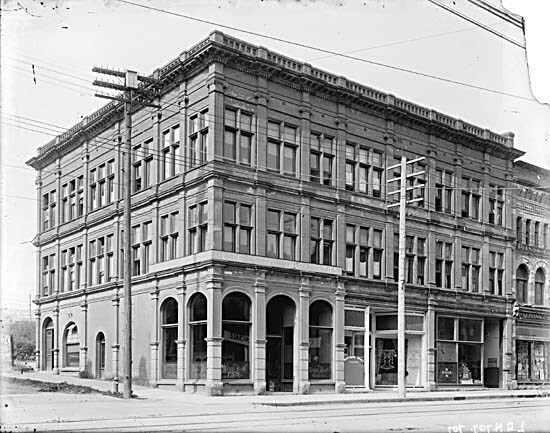 In the 1891 Census John Parr was an architect, resident in Victoria, while Thomas Fee was married and living in Vancouver. 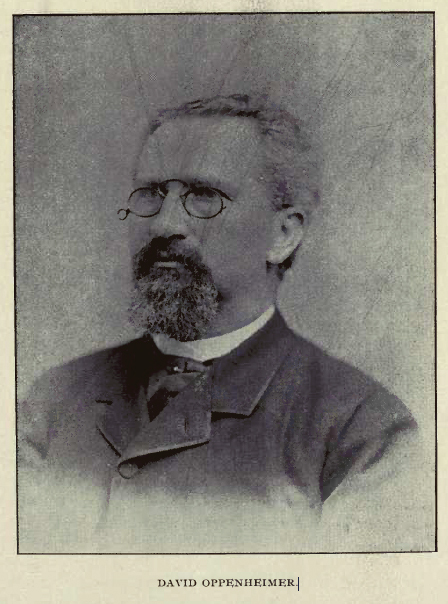 Both Thomas Fee and his wife were born in Quebec. 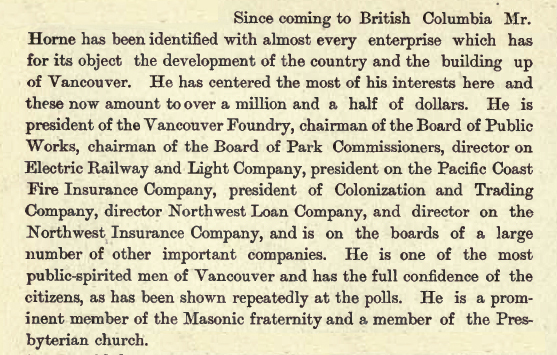 Donald Luxton says Fee had arrived in Vancouver with no money on the first train to arrive in Port Moody, walked to Vancouver and worked as a contractor and then studied architecture in Minneapolis for a year in 1889. 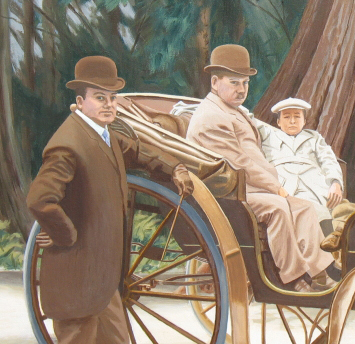 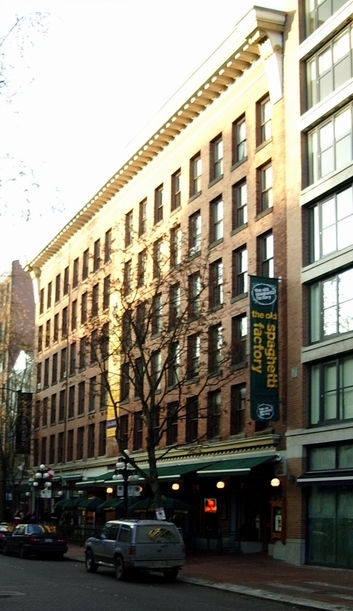 John Parr, who was born in Islington in London into an architectural family, arrived in America in 1889 and moved to Vancouver in 1895, immediately designing several commercial buildings. 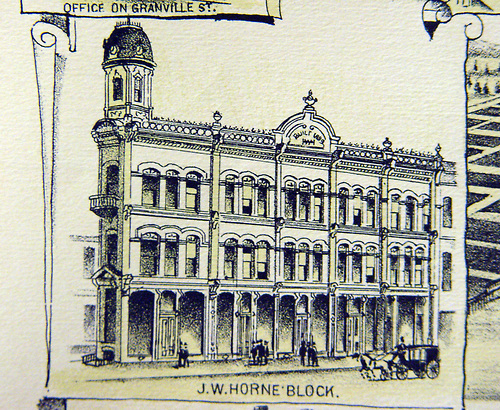 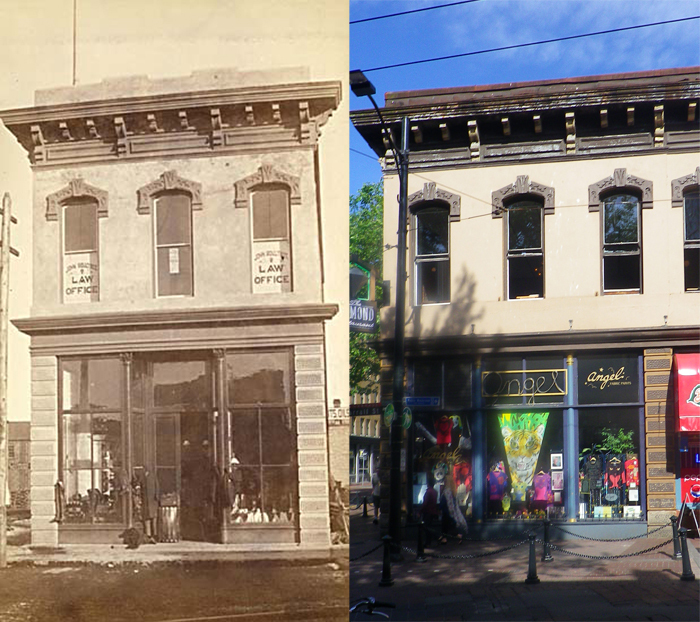 In 1895 Parrr and Fee went into partnership and turned out designs for buildings like the Ralph Block on Hastings Street as well as many houses. 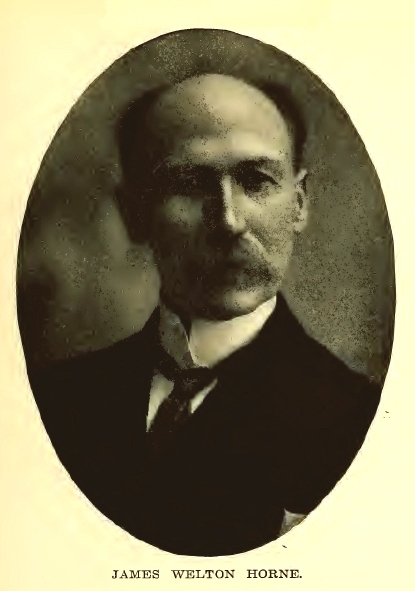 In 1901 Thomas Fee, aged 38, was living with his wife Francis (3 years younger than him), his six year old daughter Olga, four year old son Blakley and his wife’s mother, Jane Paton aged 73. 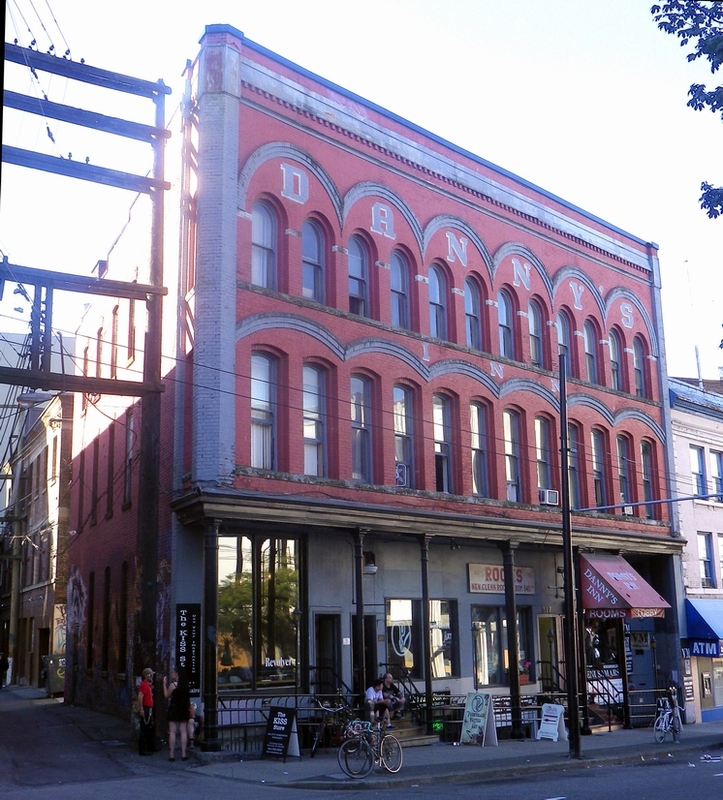 They were almost certainly living in the Broughton Street home that Parr and fee had designed in 1903 that still stands today (although relocated on the site in a 1994 restoration). 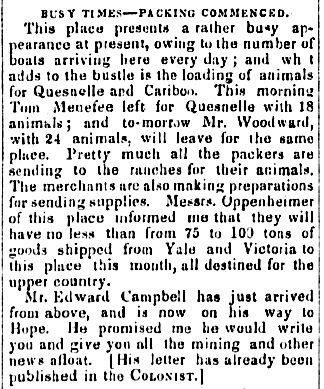 Curiously, John Parr appears to have evaded the 1901 census takers. 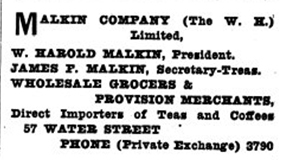 (The 1913 publication ‘Northern Who’s Who’ makes up for this by including a profile of Parr but ignoring Fee). 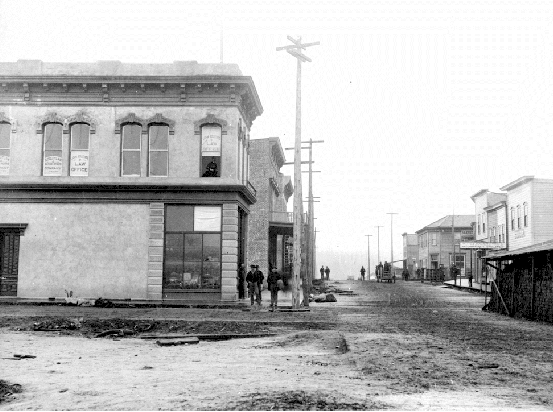 Even when he was building his family home Thomas Fee was looking to add investment value. 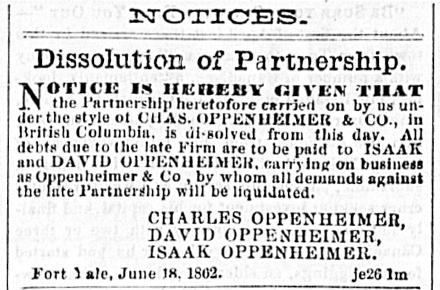 The permit for the corner of Broughton and Pendrell was for two frame dwellings, so almost certainly the house next to the Fee family home is Thomas’s investment property designed by Parr and Fee. 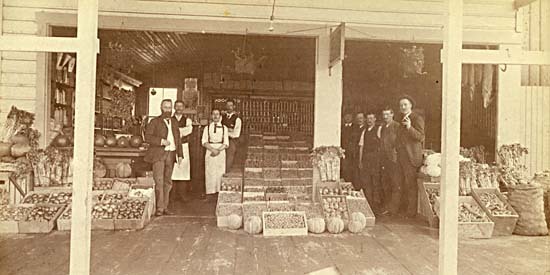 By the early 1900s the partnership were amazingly successful. 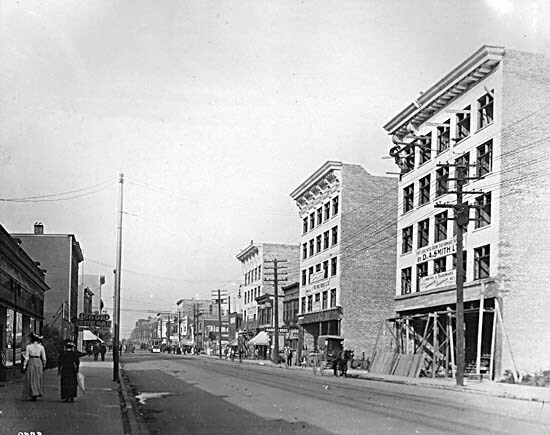 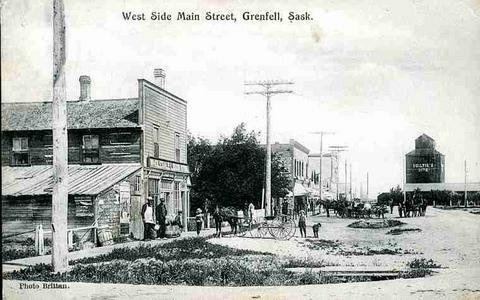 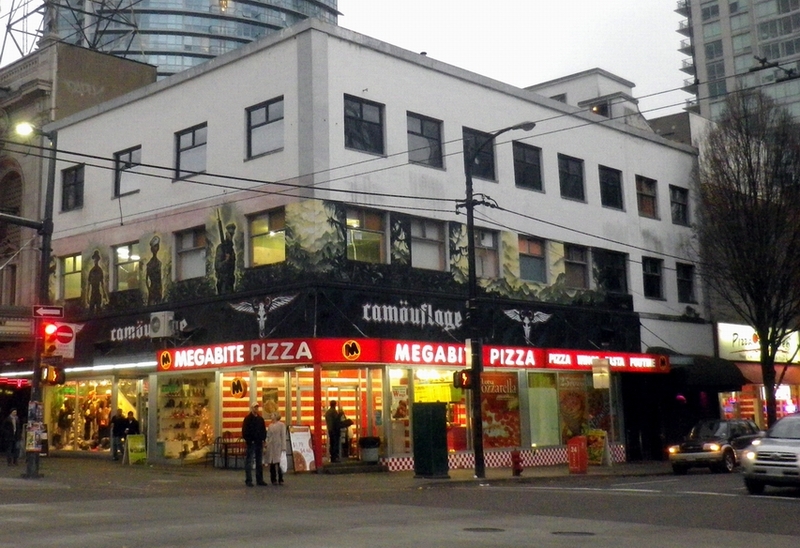 Many buildings on Granville Street were being constructed simultaneously. 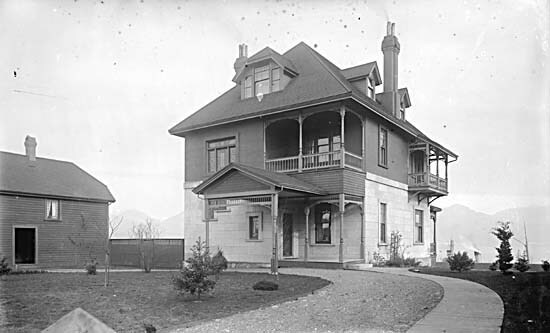 By 1911 the Fee family had moved to a new house at 1025 Gilford Street (demolished in the 1960s), Frances has her name spelled correctly, Olga is listed with her full name, Olga Merle, Blakely’s name is recorded correctly as Blakely Fowler and Grace Helen aged nine is part of the household. 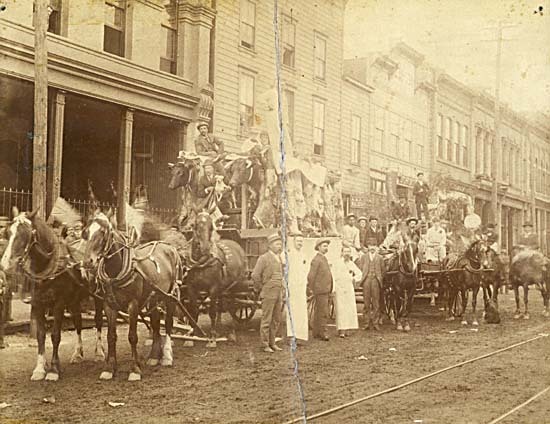 Jane Paton is still alive, given her full name, Lucretia Jane, aged 83, and Frances’s sister Helen Elizabeth is also living in the house, along with Charles Fee, Thomas’s brother. 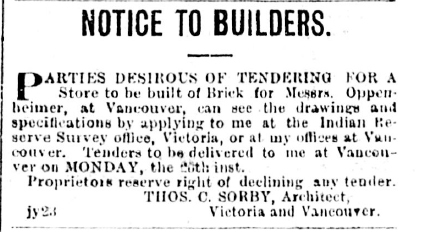 Meanwhile in 1911 Thomas Parr was living at 1064 Cardero (a house designed and built by C D Rand, a very active speculative builder, a year earlier), he was aged 55 and now living with his 48 year old wife Leila who was also a Londoner, and whom he had married earlier that year. 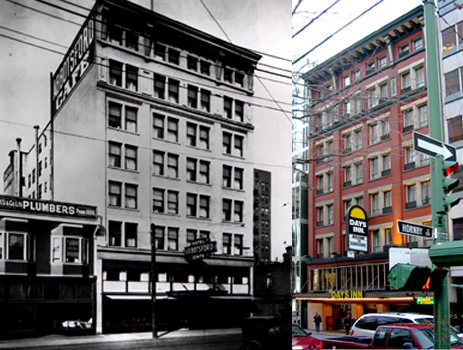 Thomas Fee owned 558 Seymour Street (possibly still standing although incorporated into the much altered club at 560 Seymour where A&B Sounds used to operate), and in 1910 added to a building he owned at 670 Smithe (on the corner of Granville Street – the building was redeveloped in 1983). 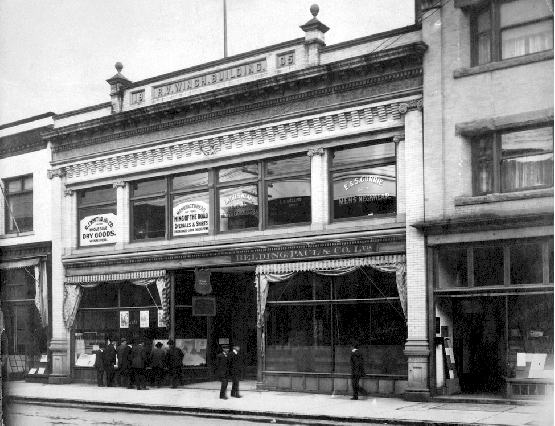 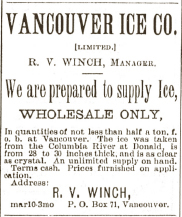 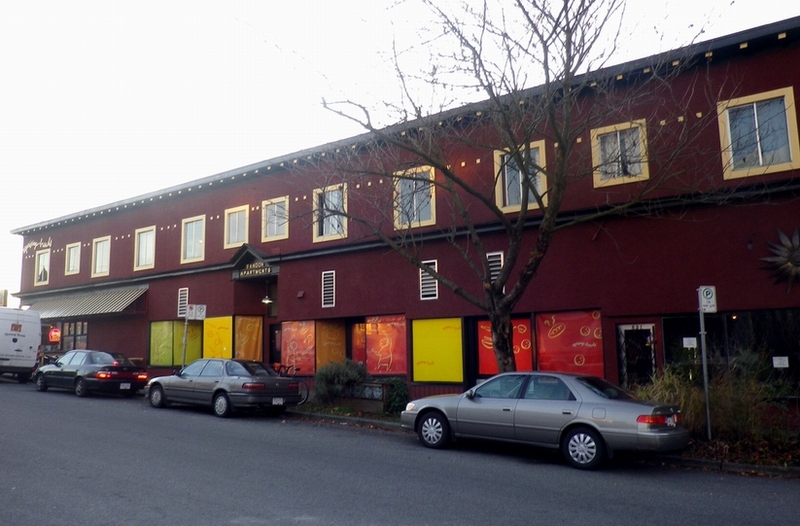 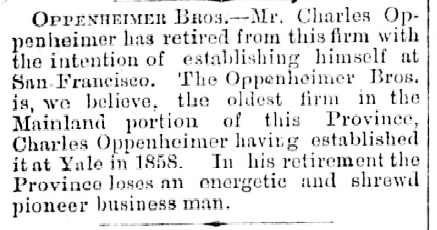 He also owned 633-635 Smithe Street – now replaced by the Orpheum Theatre’s Westcoast Hall. 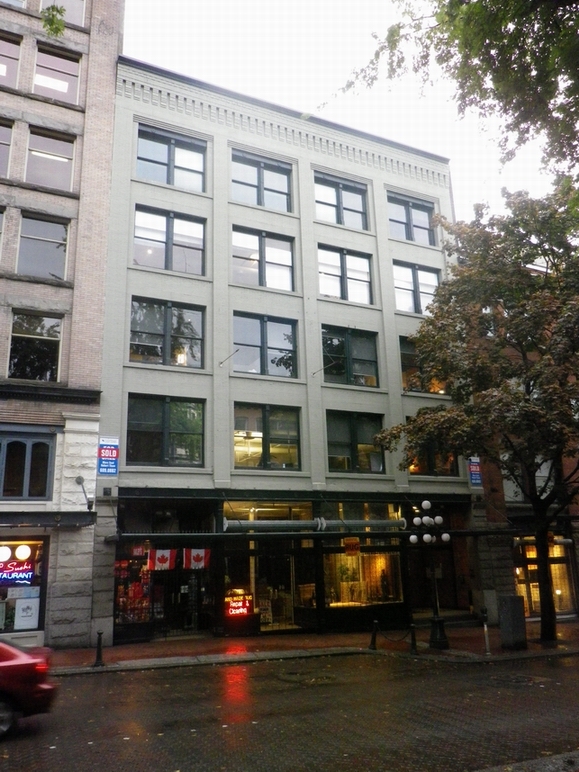 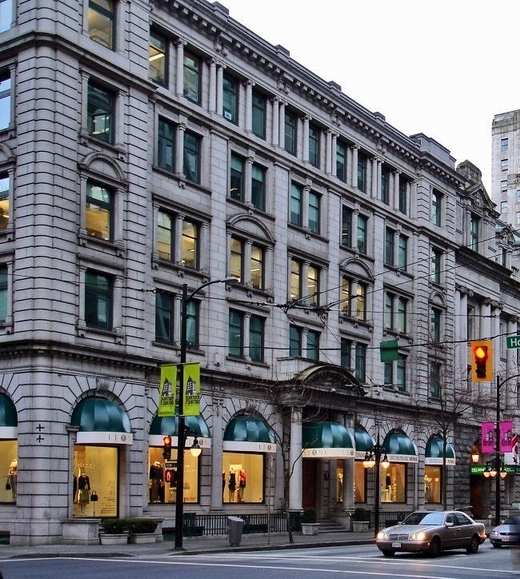 Another building owned by TA Fee is now the 570 Granville Street office building built in 2000. 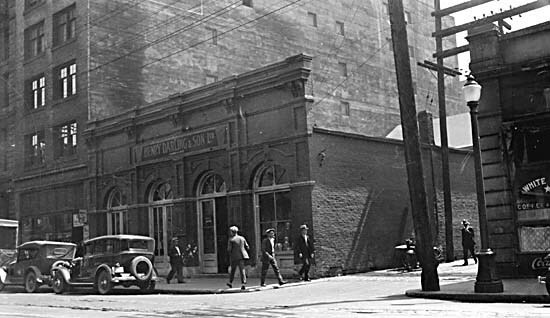 A number of T A Fee’s properties were shown as being designed not by him, but by the builders involved including 898 Granville, listed as being designed and built by Baynes & Horie in 1912. 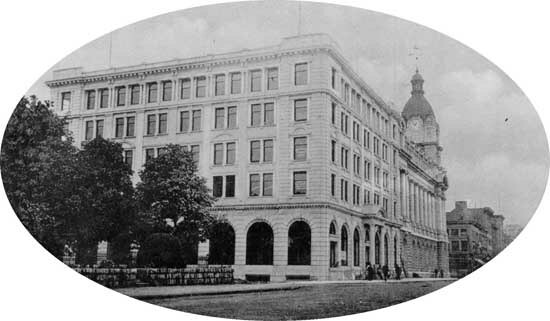 That building is one of very few associated with Thomas Fee still standing today, and looks very much like a Parr and Fee building – although not in terms of decoration. 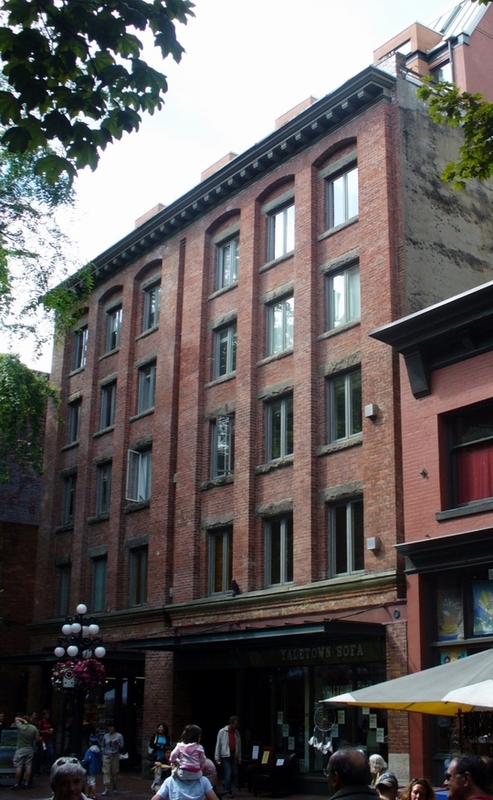 Mr Fee also owned 70 Hastings Street (these days a vacant site), where he hired W T Whiteway in 1909 to design $3,000 of alterations.and 535 Granville Street where he designed and built the development – also now demolished. 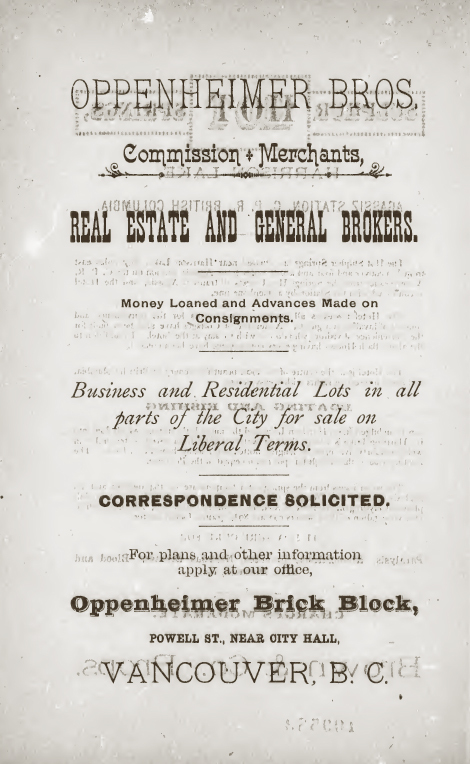 In stark contrast to TA Fee’s extensive property development activity, none of the Building Permit data currently available shows John Parr as the owner. 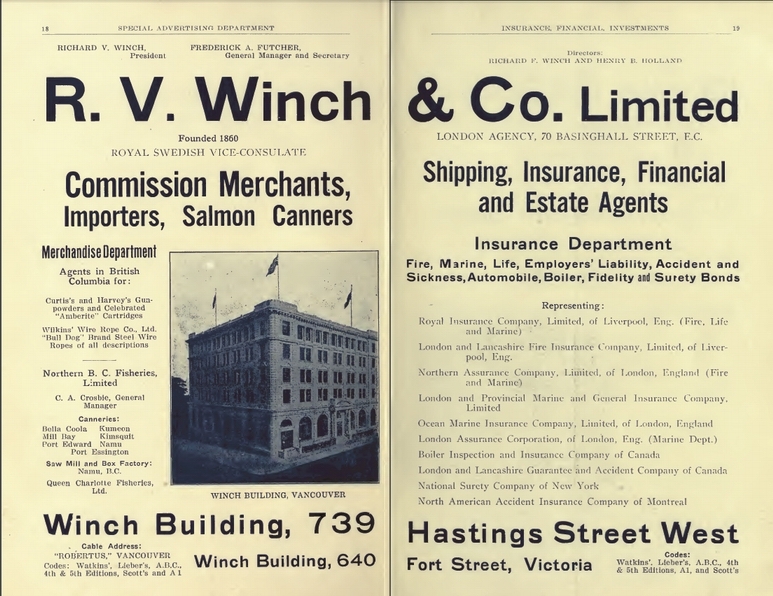 While still receiving numerous commissions, the partnership split up in 1912 (although a few buildings were not completed until the next year). 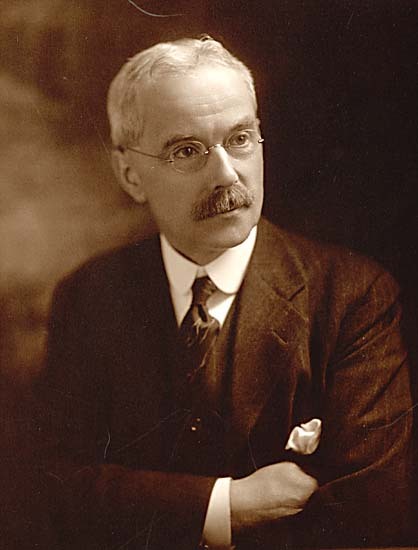 John Parr went into partnership with John Mackenzie and John Day and designed many more buildings over the next six years, until Day withdrew in 1918, Parr’s last know project was an apartment building on Beach Avenue completed in 1923, the year he died. 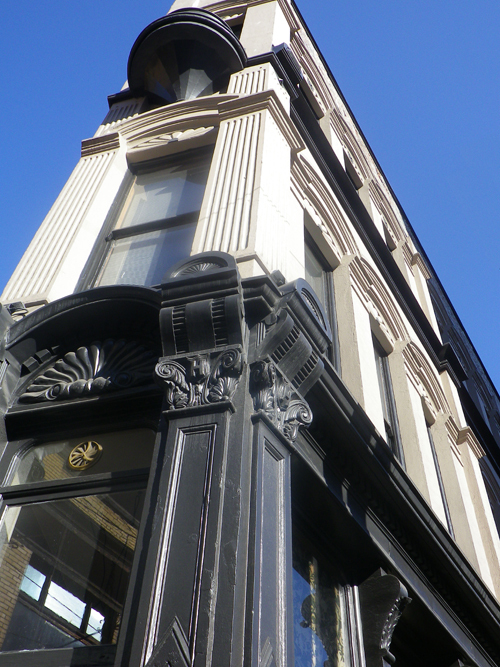 Thomas Fee also continued to practice, often designing improvements to his property portfolio. 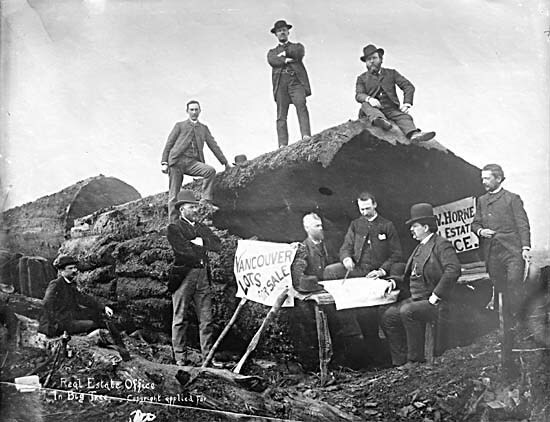 He was against Canada’s involvement in the Great War, and spent much of 1920-25 in Seattle. 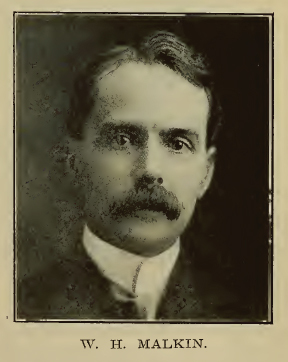 He was working through the 1920’s, and died in 1929.